Get a beautiful jewellery set. Great choice for Christmas, anniversaries or birthdays. 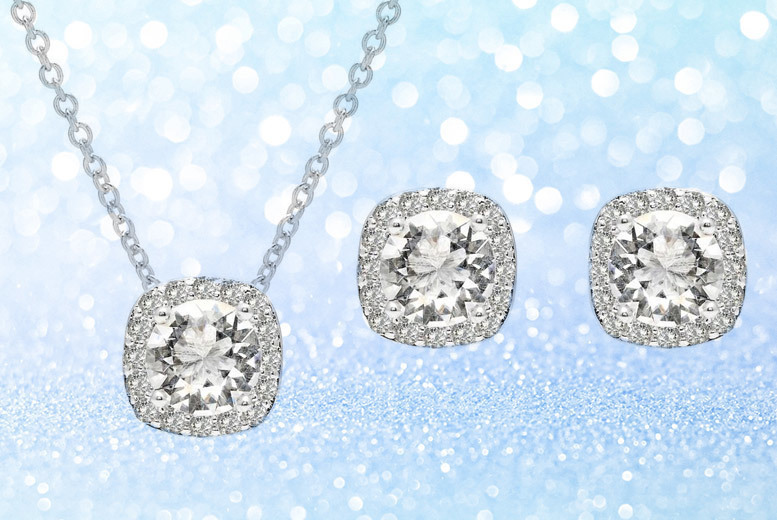 Sparkle in a cushion cut halo necklace and earrings set. Made with crystals from Swarovski®! Stand out from the crowd with the gorgeous halo cut.